Fortunately, I’d just picked up some tamarind paste at a nearby Asian grocery, where the owner assured me, “very good tamarind.” Unfortunately, she didn’t tell me that this block of paste came with seeds. Tamarind paste has a texture somewhat like dates or figs, but with many, many fairly large black seeds. Separating them from the flesh required addition of some water and patient squeezing and sieving. Next time, I’ll look for the jarred paste, sans seeds, that I’ve picked up before at Indian markets. The effort was worth it, though, for this marvelous ice cream, which has a creamy, kind of citrusy tartness that’s utterly refreshing. It would be perfect paired with a scoop of vanilla for a Caribbean Creamsicle. The Morgans have also inspired me to try things like storing fresh ginger in sherry, and making coconut cream from dried coconut. 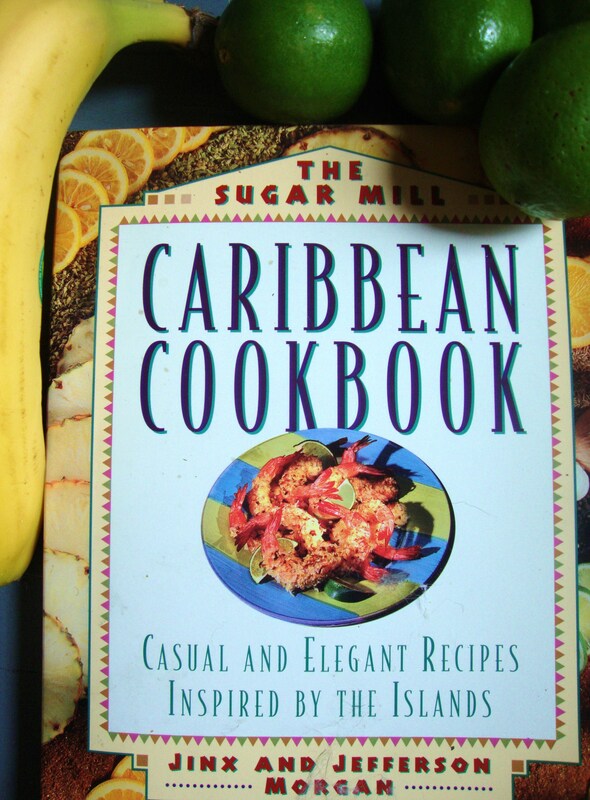 That technique, used for the Baked Fish in Banana Leaves, is also included, with a few other recipes, on the Sugar Mill restaurant web site. To complete the armchair island getaway, check out Jinx Morgan’s tropical watercolors. I love tamarind. What a great idea for an ice cream flavor… why didn’t I think of that??? Normally beach pictures are lovely… but with the weather today hovering around 100, well a snow capped peak would be more up my alley. I was lucky enough to actually taste Rebecca’s tamarind ice cream at a mutual friend’s party last night. It was fabulous. I just met Rebecca and when she told me about the blog, I knew I’d check it out and find some interesting stuff. Thanks Rebecca! Thanks, LInda. I’m so glad you liked it. Great meeting you, and send those other recipes of yours we talked about my way, the stuffed apricots, low fat ice cream, pickles, etc.